PDF file 5.6 MB Best for desktop computers. ePub file 25.5 MB Best for mobile devices. mobi file 61.9 MB Best for Kindle 1-3. What has been the trajectory of Chinese military capability development from 1996 to the present, and what will China's military force look like by the year 2017? To what extent have China's military capabilities kept pace with those of the United States? Is it likely that China is "closing in" on U.S. naval, air, missile, space, cyber, and nuclear capabilities? In which strategic areas is China likely to pose the greatest challenge to the United States in conflicts over Taiwan and the Spratly Islands? What strategic decisions would the United States have needed to make — in terms of basing, mobilization of forces, force protection, or capability acquisition — to prevail in conflict scenarios with China over time? China has made tremendous strides in its military capabilities since 1996. It is not close to catching up to the U.S. military in terms of aggregate capabilities, but it does not need to catch up to challenge the United States on its immediate periphery. Despite U.S. military improvements, China has made relative gains in most operational areas, in some cases with startling speed. However, trends vary by mission area, and even in the context of difficult scenarios, U.S. forces retain some important advantages. In general, these factors work against the United States and largely counterbalance U.S. military strengths, especially in scenarios around China's immediate periphery. China's ability to project power to more distant locations remains weak, and the United States continues to hold more decisive advantage in Asian scenarios at a distance from China's coast. However, China's ability to project power is improving, and the relative balance in areas more distant from China is also shifting. U.S. military leaders should ensure that U.S. planning for Pacific military operations is as dynamic as possible. 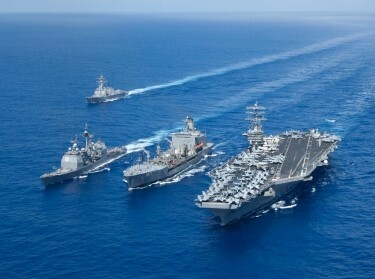 The U.S. military should adopt operational concepts and strategies that capitalize on potential advantages and utilize the geographic size and depth of the theater, as well as areas of particular U.S. military strength. Specifically, the U.S. military should consider employing an active denial strategy that would improve the resiliency of the force and diminish its vulnerability to preemptive attack. Forces would be more dispersed at the outset of conflict, with many deployed at greater distances from China, but with the ability to move forward as Chinese missile inventories are exhausted or reduced through attrition. 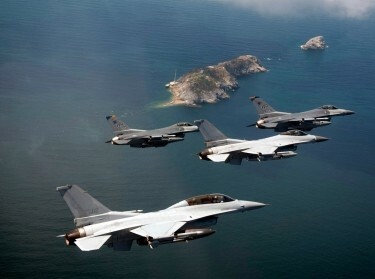 Military procurement priorities should be adjusted, emphasizing base redundancy and survivability; standoff systems optimized for high-intensity conflict; stealthy, survivable fighters and bombers; submarine and anti-submarine warfare; and robust space and counterspace capabilities. To save money, U.S. decisionmakers should consider more rapid cuts to legacy fighter forces and a decreased emphasis on large aircraft carriers. Political and military leaders should intensify diplomatic efforts in the Pacific and Southeast Asia with the goal of expanding potential U.S. access in wartime. This will provide greater strategic depth and more options for U.S. forces. Western governments and commentators should make it clear to China that aggression would carry immense risks and that China should be cautious not to exaggerate its ability to prevail in armed conflict. They should also engage China on issues of strategic stability and escalation. Eric Heginbotham, Michael Nixon, et al. The research reported here was commissioned by the U.S. Air Force and conducted within the Strategy and Doctrine Program of RAND Project AIR FORCE. 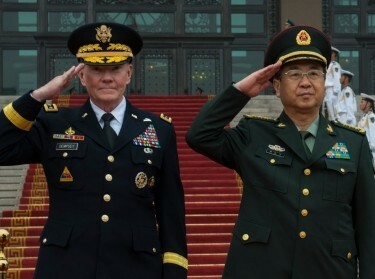 Heginbotham, Eric, Michael Nixon, Forrest E. Morgan, Jacob Heim, Jeff Hagen, Sheng Tao Li, Jeffrey Engstrom, Martin C. Libicki, Paul DeLuca, David A. Shlapak, David R. Frelinger, Burgess Laird, Kyle Brady, and Lyle J. Morris, The U.S.-China Military Scorecard: Forces, Geography, and the Evolving Balance of Power, 1996–2017. Santa Monica, CA: RAND Corporation, 2015. https://www.rand.org/pubs/research_reports/RR392.html. Also available in print form.